Location - From downtown Hot Sulphur Springs near the post office, proceed west on Grand Avenue over the bridge across the Colorado River and turn left or right into the 80-acre park. The south portion of the park is within walking distance to the hot springs resort and town restaurants, motels and shops. 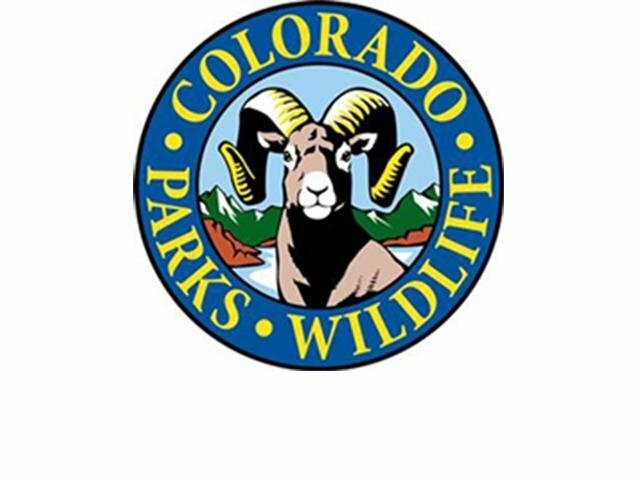 Amenities -Fishing, hiking, mountain biking, picnicing, wildlife viewing, disc golf course, port-a-potties, trash receptacles for campers, 14 numbered no-fee RV and tent camping sites with campfire areas and picnic table. Camping in designated sites only! 14 day stay allowed. Potable water is available in the Town Park behind the restrooms closed approx. October-May. There is excellent snowshoeing, cross country skiing and hiking in the park during the winter months. Pioneer Park is dog friendly. Leash law in effect! Please clean up after your pet. 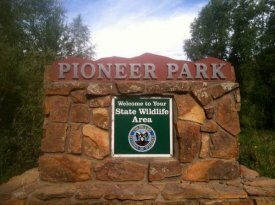 Management - Pioneer Park is owned by the Town of Hot Sulphur Springs and is managed by the Colorado Division of Parks and Wildlife as a State Wildlife Area. 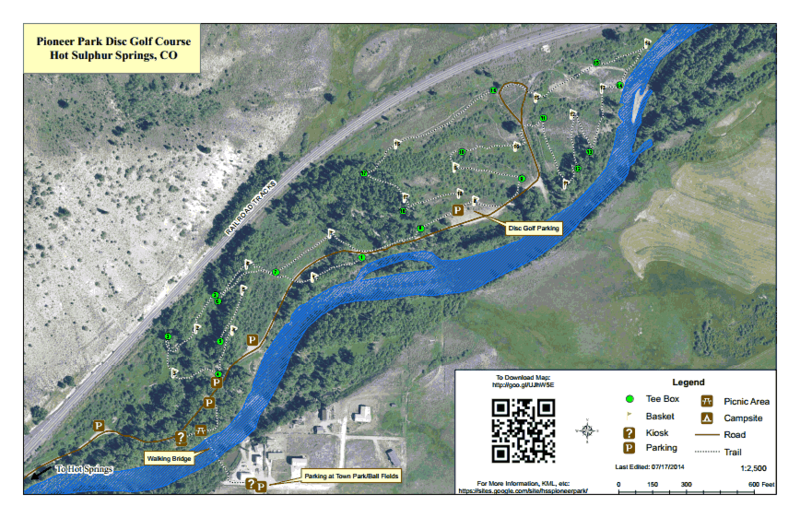 Please click here for a printable map of the park. This park is a first come first serve site. 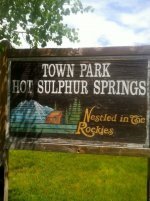 Amenities - The Hot Sulphur Springs Chamber of Commerce was reorganized in the summer of 2012 and is sponsoring a town Clean Up Days typically on the first Saturday of May and October of each year. They have also started a community garage sale. The second annual will take place in 2016. Please check out the Community Events page for more information by clicking here. Amenities - Softball diamond, tennis court, basketball, volleyball court (ice rink in winter), horseshoe court, children's playground, covered picnic area with electricity, barbeque grills, community garden, and restrooms. Potable water is available until October behind the restrooms. 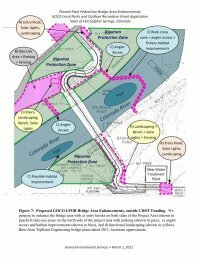 A planned pedestrian bridge will cross the Colorado River at the water treatment plant connecting the Town Park and Pioneer Park. For a PDF file copy of the Title 7, Chapter 5 sections of the Hot Sulphur Springs Municipal Code titled Public Parks, please click here. Amenities - Founded in 2008, The Grand Community Gardens incuding this one in Hot Sulphur are the result of generous contributions from local organizations and businesses including Grady at Grand County Landscaping at this garden combined with enthusiastic garden volunteers. The raised beds are avaialbe to rent each year and the garden is fenced and irrigated. 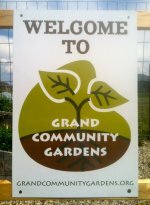 See the Grand Community Gardens web site for more information by clicking here. Amenities - Eastablished in 1957. Mission: "Our mission is to build, train, and maintain a strong, united, dedicated team of volunteer fire fighters to serve our community by protecting lives, property, and the surrounding environment in which we live." 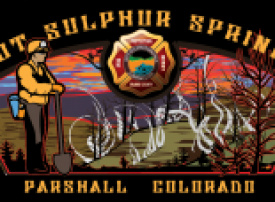 For a map of the Hot Sulphur Springs - Parshall Fire Protection District, please click here. Their web site can be found here. Amenities - This bridge over the Colorado River connects the Town Park with Pioneer Park (see listings above). Enhancements will include functional landscaping to blend enhancements to adjacent 'riparian protection areas', signage, environmental education, and solar lighting. For more information about this project, please visit the HSS Pedestrian Blog by clicking here, and for furhter details including plan graphics like the image to the left, please click here. For a link to a Sky-Hi Daily News August 11, 2012 article with updated information, please click here. Monday, 10:00 am to 2:00 pm; Wednesday, 10:00 am to 6:00 pm; Friday, 10:00 am to 4:00 pm. Closed Tuesday, Thursday, Saturday and Sunday. To see all of Grand County Library District hours click here. 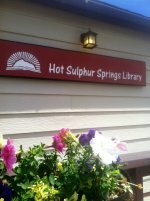 The Hot Sulphur Springs Library is part of the Grand County Library District and more information can be found on their web site by clicking here. Amenities - The land for this cemetery was donated by Solomon Jones in 1892. Several graves were moved to the site in 1895. The oldest stone is dated 1878. [source] The vantage point at the top of 'boot hill' presents a look at the Mount Bross fault and the Breccia Spoon syncline [source], as well as the sedimentary architecture of the Paleocene deposits of the Colorado Headwaters Basin. [source] Click here for an illustraiton showing a view north to the Mount Bross fault and the Middle Park Formation. Hours - Open year round; Summer hours, Tuesday through Saturday, 10:00 am to 5:00 pm; Winter hours, Wednesday through Saturday, 10:00 am to 4:00 pm. There is a fee for admission and memberships are available. Amenities - Housed in an old brick school house, the museum showcases early history of Hot Sulphur Springs and Grand County in the late 1800's and early 1900's with exhibits that feature historical photos, tools, clothing and other items. There are numerous historical buildings on the property including a county jail, a blacksmith shop, a ranch house, the original court house and an old WInter Park Ski Train caboose with it's own ski history exhibit. A gift shop is on site with books, postcards, and other items for sale as well as an extensive collection of Grand Winter Sports Carnival merchandise. Public restrooms are available. 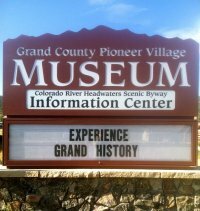 The museum is operated by the Grand County Historical Association that was established in 1974. Please click here to go to the GCHA web site. Amenities - Per Title 1, Chapter 8 Municipal Court of the Town of Hot Sulphur Springs Municipal Code, "There is hereby established a Municipal Court to hear and try all alleged violations of ordinance provisions of the Town." Presided over by Municipal Judge Georgia Noriyuki and assisted by Municipal Court Clerk Sandy White. Location - 308 Byers Avenue, Hot Sulphur Springs on U.S. 40 between Maple and Spring Streets; the Court building is located at 307 Moffat Avenue behind the County Administrative building. For a PDF file map of Grand County offices in Hot Sulphur Springs, please click here. Amenities - The county of Grand was established in 1874, taking its name from the Grand River, now called the Colorado River, which has its headwaters in the county. 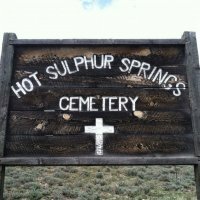 Hot Sulphur Springs is the county seat. Amenities include voter and driver registration, building and planning & zoning departments, social services, public health and more. 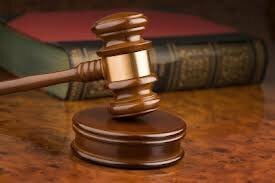 Please go the the county web site for additional information by clicking here.